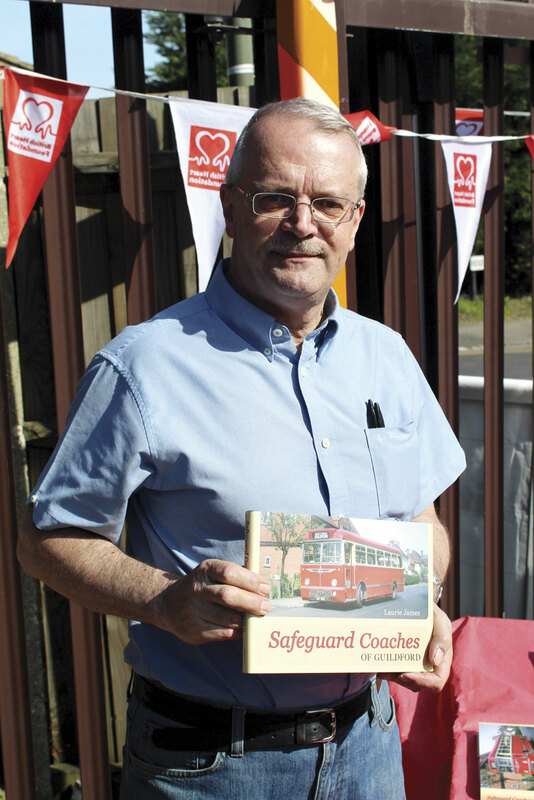 ‘Come and celebrate our 90 years of service to the people of Guildford’ was the invitation made on posters promoting an anniversary charity open day event held last weekend at the Ridgemount Garage premises of Safeguard Coaches in Guildford Park Road, Guildford. Not only has Safeguard survived for 90 years, it has remained in the ownership of the Newman family throughout, with several members of it still extremely active in the business and present to enjoy the festivities. Therese Newman had flown from Vancouver to be there. Managing Director, Andrew Halliday, is not part of the family but he shares their pride in what the business has achieved. Safeguard and the sister Farnham Coaches fleet acquired in 1988 and based in Hale, Upper Farnham, have a combined fleet of 38 buses and coaches, though the entire service bus fleet is run from Guildford. The combined operations employ 60 staff, 40 of them on a full time basis. Andrew stressed that the wages they would have earned during the event were being donated to the two charities. A number of presentations were made during the day including one to Traffic commissioner, Chris heaps, who had been the guest of honour at the company’s 80th anniversary celebrations a decade previously. 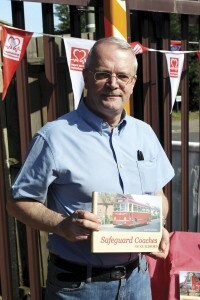 Another presentation was made to Steve Pickup, recently retired after a 47-year long career selling Plaxton products. He was given golf vouchers to enable him to play at the Belfry course. Nine service buses are operated and all but one of them were built by Optare, the first pair of Excels having been purchased from another long standing local operator, Tillingbourne of Cranleigh, when they closed down in 2001. The latest acquisition was a Versa, Safeguard’s fourth, which went on the road in October last year. 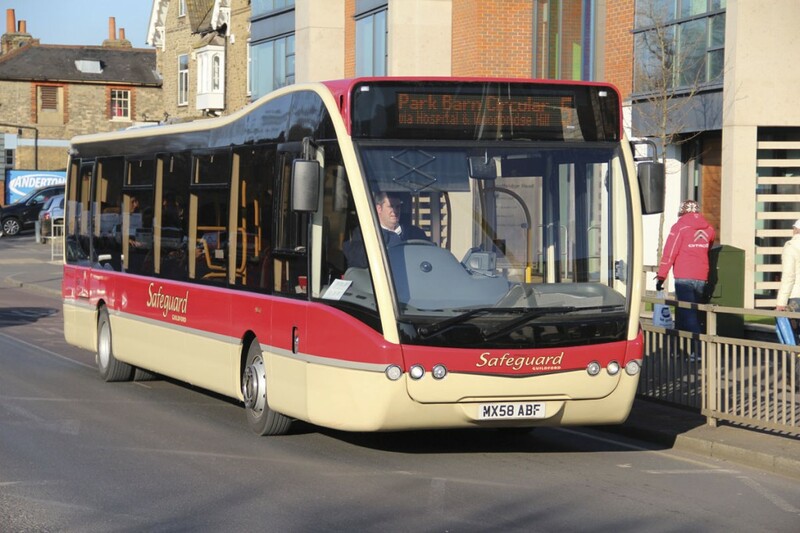 Safeguard’s core bus routes are the 4 and 5 services linking Park Barn, Surrey Royal Hospital and Guildford town centre. From 10 March these have been enhanced to start earlier in the morning and finish at 23.00 instead of 22.30. The two services have a common starting point at Guildford’s Priory Bus Station then follow different routes to a common circular section at the Park Barn end. The 4 runs anticlockwise and the 5 clockwise. 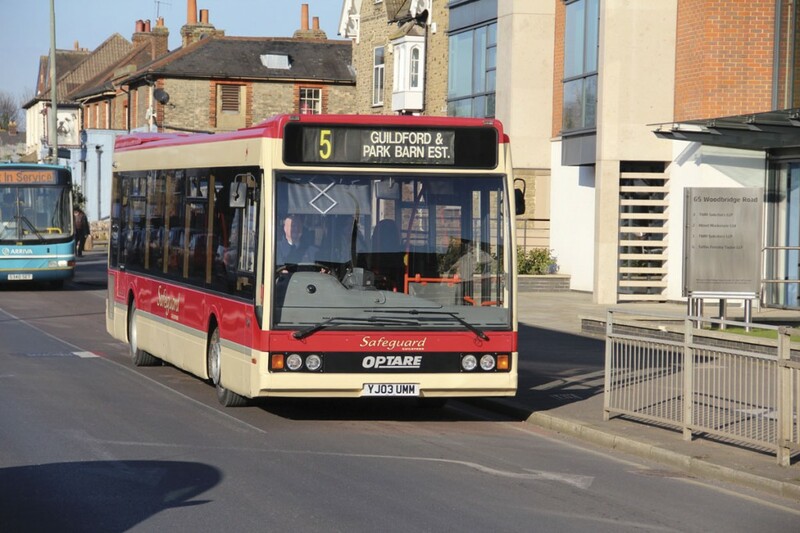 Daytime frequencies are every 15 minutes giving a 7-8 minute service to Park Barn. Laurie James has previously written a number of well researched and very readable operator histories and had been compiling notes for one on Safeguard for a while when he approached Andrew Halliday with the idea. He did not know at the time that the 90th anniversary was approaching and found Andrew enthusiastic about the proposal, providing him with access to the Newman family and their archives, especially Mark Newman. As well as talking to the family, Laurie also spoke to many Safeguard staff, with a get together held one Sunday afternoon at which many current and former staff were present. Not all of what they said was printable. As well as the first hand accounts and information provided by the company and family, he undertook a lot of research in the historical records and the minutes of the licensing authorities. The result is a well produced and thoroughly readable hardback book that is extensively illustrated in both black and white and colour. There are a number of appendices for those who like to be able to refer to comprehensive lists of routes and vehicles, as well as a mention for long serving staff and a look at the tickets used by the company over the years. Published by Amberley Publishing, the 160 page book is available direct from Safeguard at £22.50 including postage and packing. On the day, copies were selling like hot cakes and regular trips had to be made to the store room for additional boxes of the books. Profits on books sold at the event were all being donated to Great Ormond Street and the British Heart Foundation. 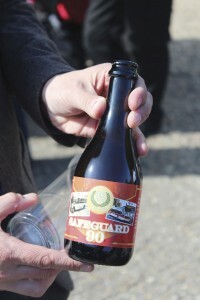 I had to drive home so I didn’t sample the ‘Safeguard 90’ that had been brewed especially for the occasion by The Little Beer Corporation, a local brewery. Delivered in brightly labelled bottles, it was ‘a flavourful deep honey coloured Pilsner lager’ with an ABV of 5.9%. 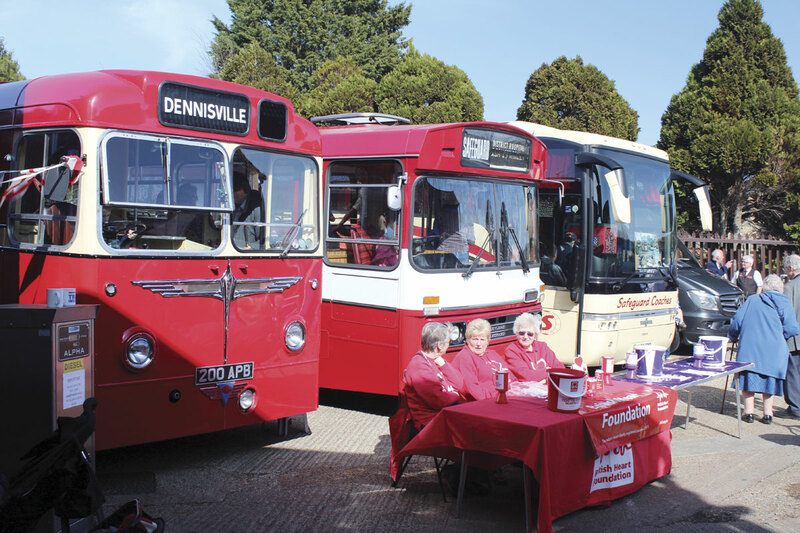 The operating centre is not a vast site and it was not until the bus fleet had gone out on service at 07.30 and several members of the coach fleet had been parked elsewhere that the site could be fully prepared for the day. With no public on site parking and no car park nearby, Safeguard arranged with Surrey County Council’s Onslow Park & Ride and Guildford Cathedral (well worth a visit itself) for their parking facilities to be utilised. These were linked to Ridgemount by a regular bus service operated by four buses. 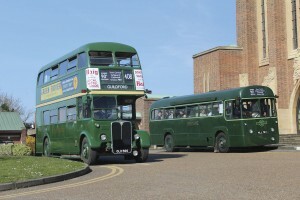 Three were former London Country AECs: a pair of RF type AEC Regal IVs and an AEC Regent III double decker, all immaculately presented. 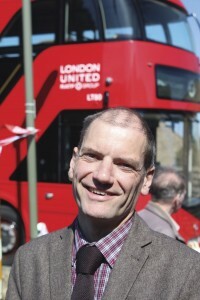 Very different was the fourth bus used on the service, a New Routemaster from the London United fleet of RATP. Andrew Halliday worked for London Transport prior to joining Safeguard after a brief spell at MVA and he got in contact with former colleague, Peter Bradley, who put him in touch with Tom Cunnington and London United MD, Richard Hall. Amanda Molyneux, GM at Stamford Bridge, put it all into practice and very popular it proved. Although Safeguard has its own preserved Burlingham bodied AEC Reliance dating from 1956, this did not appear on the free bus service, instead providing a point of interest at the depot, along with another preserved former Safeguard bus, a Leyland Leopard with Duple Dominant Bus body in the red and white (rather than cream) livery that the company’s buses carried for many years. Both buses did however appear in a cavalcade that marked the end of the day’s proceedings. 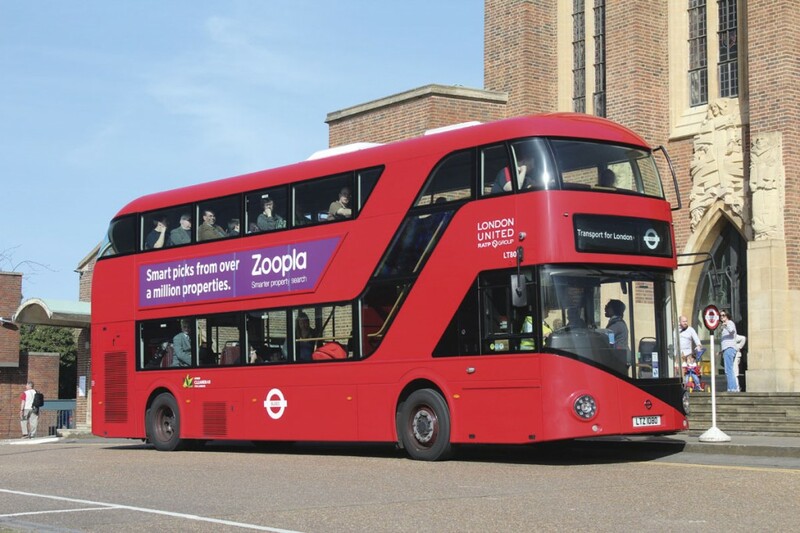 Though Safeguard has run double deck coaches and even ran a Guy Arab double deck service bus for a while in the early 1950s, it is not likely that it will begin operating New Routemasters in the near future. The latest fleet addition was present at the depot during the celebrations. This was a 14-plate 16-seat EVM conversion of a Mercedes-Benz Sprinter 516CDi which introduces a new brand name for the company and with it a new dark metallic grey livery. The new brand is Farnham Minibuses, which has its own separate website. 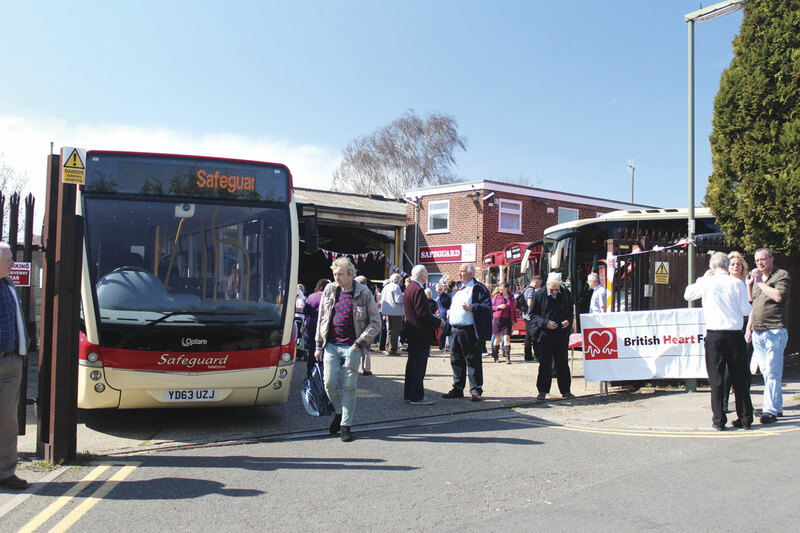 It has been launched to operate from the Farnham depot to cater for smaller groups that do not want to ‘rattle around in or pay for’ a bigger coach. Andrew is hoping it will enable the company to tap into the corporate market and that it may create a new source of obtaining drivers who can be developed to graduate to full sized coaches. As well as the unveiling of the new minicoach, the day saw the announcement of a further £500,000 investment in two DAF-powered 12.8m VDL Futura 2 57-seaters for delivery in the Autumn. It marks a departure for Safeguard which has shown a preference for Volvo Van Hool products but has made the switch now that its favoured combination is no longer available. Alan White of Moseley in the South was on hand to accept the order. Aside from the Sprinter they will be the first Euro6 coaches in the fleet. Safeguard could not have wished for better weather for the event which was blessed with warm sunshine throughout. It brought out the crowds in large numbers and provided an excellent chance to strengthen links between the company and its customers by emphasising not only the history of the organisation but also its plans to keep developing in the future. Though the amount had not been fully counted on the day, it also generated worthwhile sums for charity.